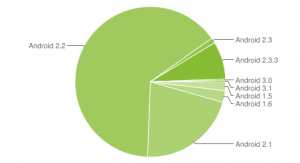 The fragmentation of the Android market (no, not the store) is an advantage and disadvantage at the same time. Despite all those different OS versions out there (see image on the right) there are a lot of devices on the market. This massive diversity of Android phones, produced by dozens of different manufacturers worldwide, each of them having their own target user, their own distribution system and their own target country — allowed Android to become as big as it is right now. Some people always compare the Android approach with the way Microsoft went with Windows about 20 years ago — just that Android is a lot more open, but they both chose the way of providing an operating system for a very general set of hardware components. 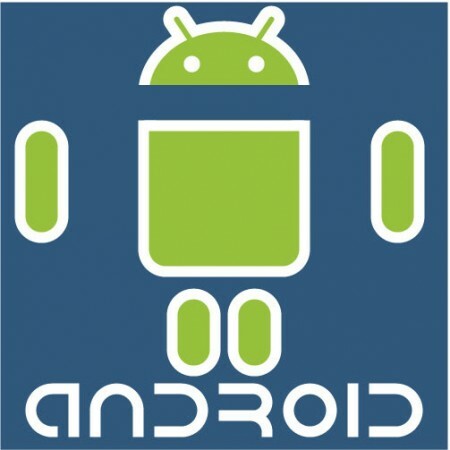 Combining this with the openess and especially “freeness” of the Android OS – the advantage of that is obvious: Imagine you are a Chinese handset manufacturer who used to build phones for Nokia or SonyEricsson for a decade; you know how to assemble the right hardware into a tiny little piece of awesomeness. The only thing you were missing was a good operating system. Yes, 10 years those two companies were doing well with their Symbian-based phones and Symbian was a good OS back then. Nowadays we see that despite the huge success of the Android platform, developers have problems monetizing their applications. Yes, it is possible to push out free aps with mobile ads in there and it is also possible to publish paid applications which users can get for a one-off fee (e.g. $0.99). However, based on the above mentioned approach of Android, the device diversity is so huge that nearly every day it gets harder and harder for developers to write an application that works the same on all devices running Android – say OS 2.3. A very simple example the device’s LED lamp. There are some methods in the API to control the device LED, but it is required for an Android phone to have such a LED. Some phones have a trackball that can light up in different colors, though — others have both. Just when I am with the LED: Google removed the possibility to directly control that LED a while back claiming it would be using too much battery power when the LED is used heavily. They added that weird glow effect at scrolling without the option to switch it off though — I doubt that takes less battery. There are a lot more examples where the “openess” of the Android platform actually hinders developers of creating applications with the same features and the same user experience on all devices the app is compatible with. I would like to see Google addressing this issue. In one way or the other.